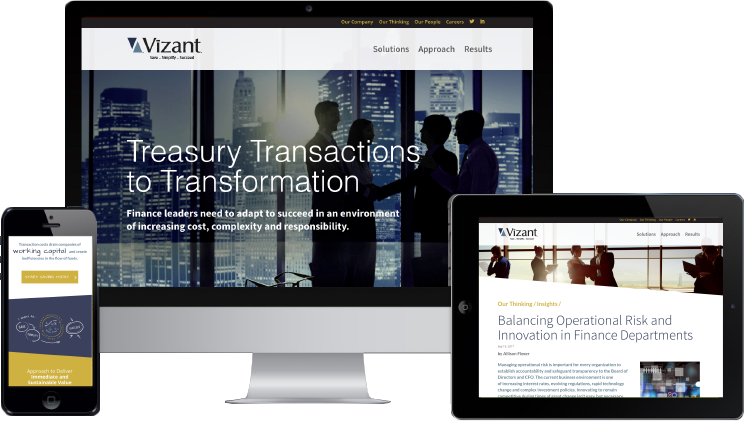 Vizant was in need of a total rebrand which commenced with a website upgrade to reflect their new strategy and vision. 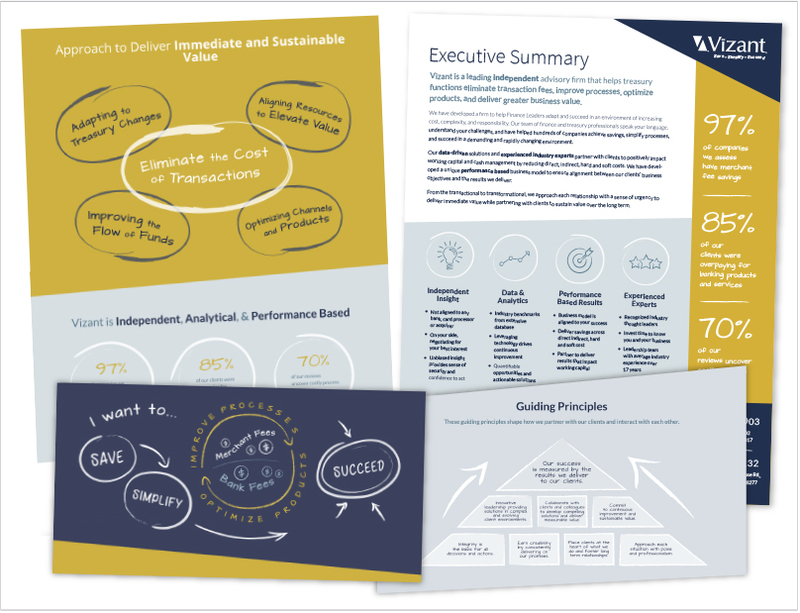 Power Design partnered up with Mosaic Partners (strategy and messaging) to produce a visually dynamic web-based story for Vizants’ client base. The work of Power Design helped Vizant move away from the company they were to the company they are today. The use of infographics to communicate solutions quickly and efficiently is a key component to the success of the redesign. The approach to the leadership section of the website strikes the right balance between an emerging company culture and deep industry expertise.